The government is seeking to purchase an anti-cervical cancer vaccine that may offer less protection than one placed recently on the market, according to pharmaceutical industry sources. The State provides protection against HPV (human papillomaviruses) to girls aged 12 through what is known as a bivalent vaccine. The jab protects against infection with two types of HPV. However, the sources pointed out, there is another vaccine that covers four types of HPV and an even newer one – known as nonavalent – protecting against infection from nine different types. A call for tenders for the procurement of the vaccine, issued last month, only demands that the vaccine supplied is licensed to be administered according to a two-dose schedule among 12-year-old children. This means, the sources pointed out, that the currently-administered bivalent vaccine can be chosen in the tendering process, as could the nonavalent vaccine. 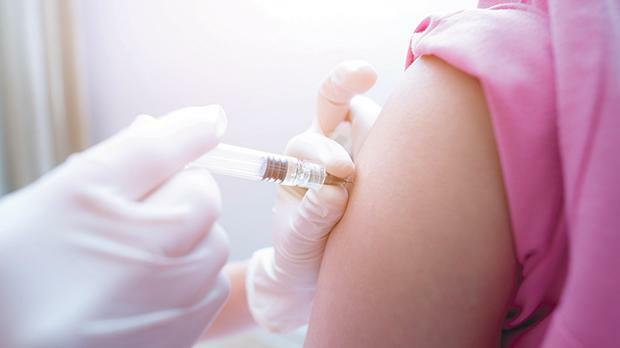 However, the former is cheaper and going for it could risk vaccinating Maltese girls with an older generation jab that offers less protection, they added. The sole tender award criterion is the price, the sources noted. They said the nonavalent vaccine has been adopted by several countries, including most European ones such as Croatia, Italy, Belgium, Bulgaria, Denmark, Estonia, France, Germany, Cyprus, Greece, Hungary, Ireland, Liechtenstein, Lithuania, Luxembourg, Portugal, Slovenia, Spain, Sweden, Switzerland and the UK. The topic of HPV vaccination and whether it is time for change came up during last year’s Malta Medical School Conference. One of the presentations made during the event questioned whether the national immunisation programme should change from bivalent to nonavalent vaccine. When contacted, a Health Department spokesman said there were plans to procure the nonavalent HPV vaccine, however it was unclear when this would take place. “The HPV vaccine was introduced in the national schedule in 2013. Last year, the vaccine had a coverage rate of 82.5 per cent,” a Health Ministry spokeswoman said, adding that, along the years, the advisory committee on immunisation policy worked on various changes to the national schedule in line with evidence and local epidemiology of vaccine preventable diseases. The advisory committee is working on changes “for the near future”, among them the introduction of the pneumococcal vaccine and amendment of the HPV vaccination. “In fact, the Health Department intends to procure the nonavalent HPV vaccine for inclusion in its vaccination schedule,” she said. Asked to specify when the nonavalent vaccine would be included in the schedule, whether through the current tender or in 36 months’ time, when it is time for a new one, Times of Malta was told that a clarification would be issued. Still, no clarification specifying that the tender is calling for nonavalent vaccines has been issued so far. The spokeswoman said the department’s intention is to abide by clinical recommendations as to which specific type of HPV vaccine to procure. Asked whether this meant the department would, therefore, be going for the cheaper vaccine, in line with the tender criteria, the spokeswoman repeated the same reply.